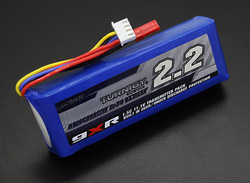 This is the ideal battery for the Turnigy 9XR Transmitter! Fits nicely into the battery compartment. Long lasting, and safety protected! Comes ready to plug in. Note: This battery does NOT fit the Turnigy 9X.